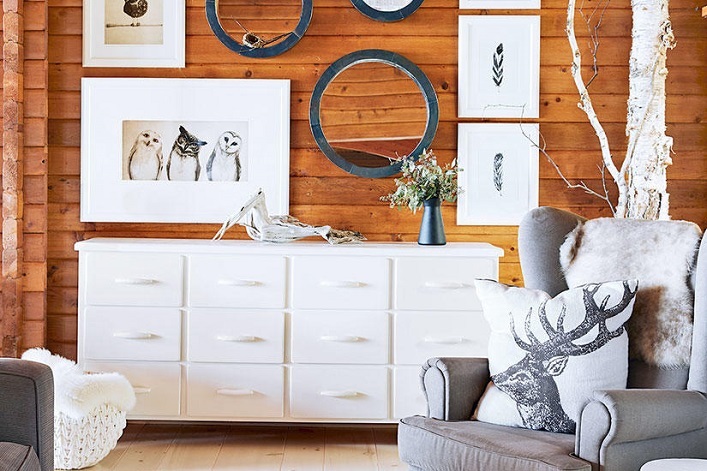 Mix and Chic: Inside a chic, cozy and charming Canadian cottage! 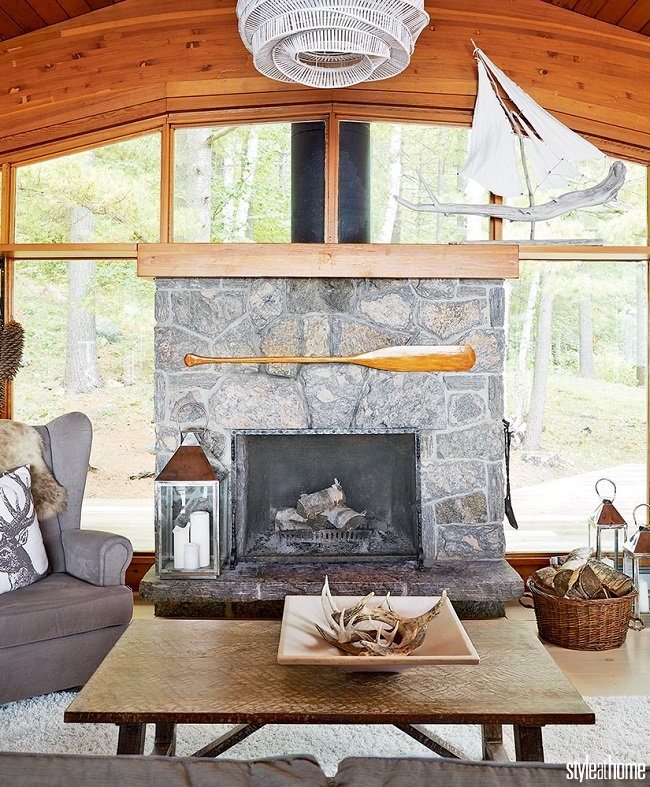 Inside a chic, cozy and charming Canadian cottage! 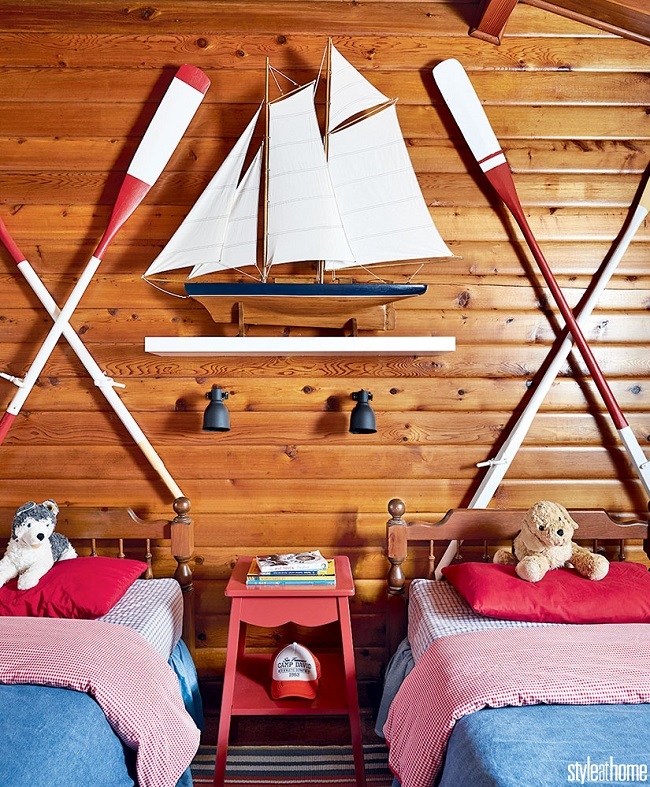 This 3,000-square-foot, 1972-built Lake Muskoka cottage belongs to a family of five. Fortunately for the homeowners, the cottage was generally well-kept when they purchased it. 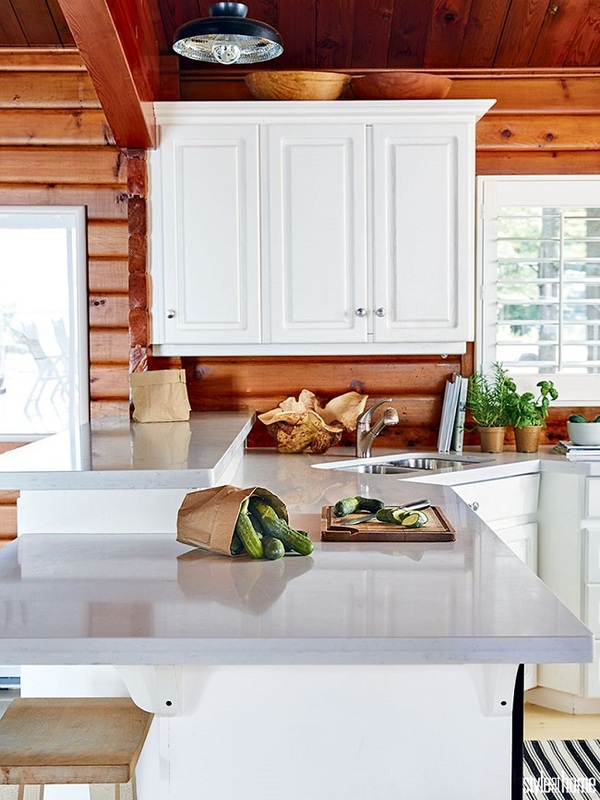 To personalize their home, they replaced the carpet floors with pine planks and painted the kitchen cabinets white. Because they were on an island, getting things in and out will be burdensome. Therefore, they decided to reuse many of the furnishings and accessories left behind by the previous owners by transforming them with coats of white paint. The cedar structure that came with the cottage was kept as it was. Let's take a look at the results of the makeover, shall we? The cedar plank walls instantly add warmth and charm to this cottage. White furnishings and accents provide contrast against the dark walls and make everything pops. 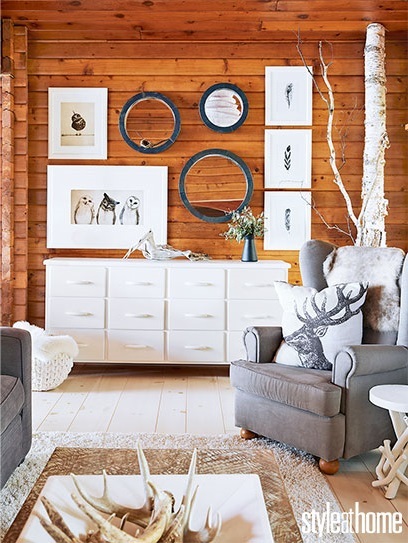 Nature elements such as twig chandelier, birch trunks and antlers reinforced a laid-back, relaxed and homey feel. I really love what the homeowners did with this cottage, how about you? Any thoughts? What caught my eye in addition to all the pops of white was the circular theme! !